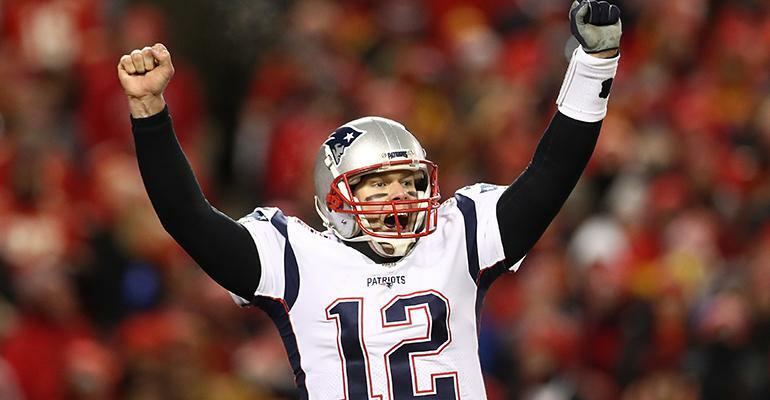 Patriots QB Tom Brady is voted MVP for the 2019 Superbowl. In a not so exciting Super Bowl LIII, the New England Patriots claimed victory over the Los Angeles Rams. As it was the lowest scoring Super Bowl in history, fans watched in agony as yet another victory was claimed by the Patriots and their quarterback leader, Tom Brady. This was the Patriots’ and Tom Brady’s sixth Super Bowl win. However, the victory was not as exciting due to the slowness of the game. The game started off with a pick off of a Brady throw quickly followed by an interception; things, so far, were looking positive for the Rams. Then in the Ram’s first possession, Stephen Gostkowski missed a 46 yard field goal. As the game continued, New England was able to maintain possession, but eventually had to punt. The first quarter ended with a score of 0-0. In the second quarter, the Rams, once again on offense, struggled against the Patriots’ defense to create any movement, and the Patriots got the ball back, and in that possession made a field goal, making the score 3-0. The second quarter continued and ended with the Rams having to punt six times. This was a real indication that this game was going to be a struggle for the Rams and a lower-scoring game than anticipated. The third quarter started with runs from Rams running back Todd Gurley. This showed an opening up of running lanes that were not there before, giving the impression that the Rams’ offense was finally pulling it together. Another positive for the Rams was an arm injury of Patriots defender Patrick Chung, which was received while he was trying to tackle Gurley. These small victories did not last long, as the Rams soon had to punt again. Eventually, the Rams made a 53-yard field goal, which tied the game 3-3, and ended the third quarter. The fourth quarter started out no more exciting than the last three. But things looked up for the Patriots as Brady throwed the ball to Gronkowski. The Patriots got the ball at the 2-yard line, which led to a Patriots touchdown. With the Patriots strong lead, they continued to dominate the fourth quarter, first with an interception, then with a huge run by Patriots running back Rex Burkhead. This run allowed the Patriots a field goal attempt to seal their win and make the score 13-3. The Rams tried in vain to gain back momentum with a 48-yard field goal attempt, but it was no use. The Patriots won with a final score of 13-3. The low-scoring game came with low ratings, with a 44.9 percentage overnight rating on CBS, 5.2 percent down from last year. This can be attributed to the boring game. Also, other factors included football fans are tired of the Patriots winning, and the city of New Orleans boycotted the Super Bowl after the Saints were robbed of their NFC championship title over a bad call. There are many explanations for Gruley’s whereabouts, but this explanation seems the most plausible, and although we can ponder over questions of “what if” all day, there is no use for it. The Patriots won, and even though we may not be happy about it, that is the way it is.